The 360° approach to real estate leverages our international human and technological resources in order to provide the greatest professional real estate agents in your neighborhood. Liquidity in real estate takes on a new meaning at Realty 360°. Business in our world economy is more fluid than ever. And, current market trends demand that agents respond to client needs quickly and accurately. Realty 360° not only keeps up with this demand, we innovate and create new industry standards in global real estate operations. Liquid production is our blockchain for operational standards. Distributed workflows across data systems, personnel and virtual production environments conjoin an ecosystem of efficient and effective customer care. To say that we are merely a virtual, or paperless company denies the existence of our growing collaborative brick and mortar office locations. The fact that we are paperless intimates only a green approach to business. And, to say that we implement progressive technology systems suggest that we are on par with industry standards. These assumptions only scratch the surface. Our technology systems are both proprietary and industry leading integrated solutions. Our paperless philosophy is green, and paperless management provides clients increased convenience, security and contract accuracy. Our flexible back office operations provide speed, accuracy and greater accountability for clients and agents. Collectively, these combined resources and associated workflows function together delivering unprecedented operational excellence. The Realty 360° difference resides in the collective integration and execution of these solutions, and this is what our blockchain ecosystem really means. Tennessee is open for business. Realty Three Sixty residential and commercial specialists reach more buyers, sellers and investors every day.  Realty 360° expands through east and middle Tennessee. Find out how the 360° approach revolutionizes professional real estate consultant and client interaction. Experience – Knowledge – Vision deliver consistent results. Edmond makes our clients, agents and company look better every day. Paula brings international expertise to the Realty 360° marketing team. Her experience delivers better results for agents and clients alike. Eric has been with Realty 360° since we opened our doors. Eric runs his own marketing, web and design service. His contributions to 360° make him a critical part of the family. Aiko keeps 360° rolling. Her achievements include staff management and oversight of transaction coordination. Jeff’s 30+ years as an entrepreneur in business development and tech startups contributes to the culture of accountability for all. A REALTOR® and business development professional, Jarrod enjoys helping agents build a plan,, work their plan and achieve their goals. A REALTOR® and talented communications professional. Kevin is one of our Go-To agent experts for new agents joining the 360° family.